The land, characterized by its towering stands of pines and open fields, has been rezoned to allow a mixed-use development including upscale houses, multifamily dwellings, offices, retail uses and a congregate care facility. Commissioners approved the rezoning request, without debate. The development must undergo a site plan review by the county before any construction can begin, White said. But he expects the county will ensure the plan follows the conditions approved by commissioners. 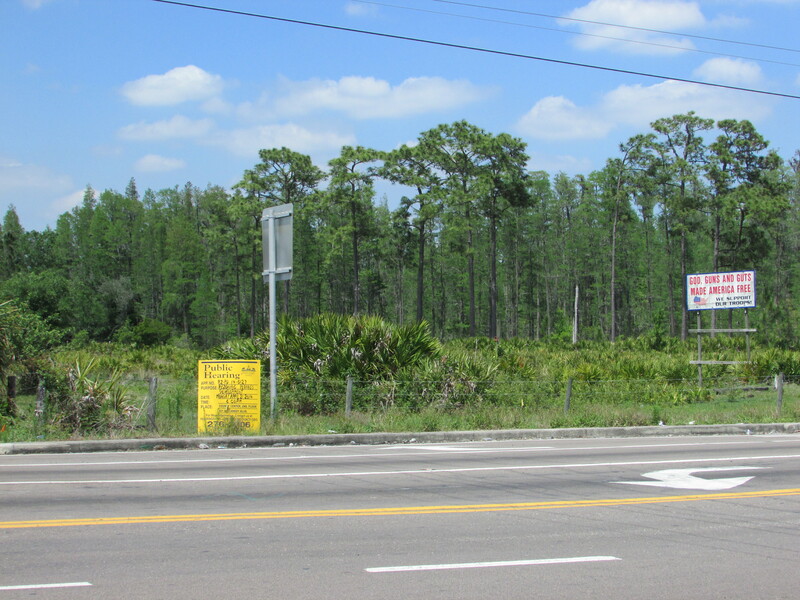 Attorney Joel Tew represented Geraci Land Acquisition LLC, and attorney Richard Davis represented Standard Pacific Homes of Florida on the side-by-side rezonings, covering approximately 251 acres. The rezoning applications were presented as companion requests at an April 21 public hearing before a land-use hearing officer. Plans call for substantially less development than would have been allowed otherwise under the county’s long-range plan. One rezoning incorporates the Landings at Lake Pearl, a previously approved rezoning that includes 650 multifamily units and 70,000 square feet of office. Besides those existing entitlements, the rezoning allows 240 single-family houses and 177 multifamily dwellings. Standard Pacific Homes plans to build a gated, high-end residential community on the property. The approved zoning allows about 25 percent of the residential development than would have been possible under the county’s long-range land-use plan. The retail uses, under the rezoning, represent about one-third of the potential allowed under the long-range plan designation. Representatives from all sides testified at the public hearing that considerable effort was made to work out conditions that addressed concerns expressed by the community, while delivering a quality project. The proposed developments include conditions that exceed the county’s land development code, including requirements such as increased setbacks from surrounding properties, enhanced landscaping, more stringent sign requirements, and even conditions dealing with building orientation. Both zoning requests received favorable recommendations from the county’s planning commission and land development staff. Conditions of the Luce’s recommended approval includes a number of transportation improvements. One calls for a signalized intersection at Exciting Idlewild Boulevard and North Dale Mabry Highway, and another calls for a new alignment leading into the Veterans Expressway that essentially will square up that intersection. The plans also show a single access point off of Van Dyke Road, instead of the three access points that were initially requested. The limited access on Van Dyke was essential to gain the support of area residents and the Lutz Citizens Coalition, who were concerned about traffic impacts both on Van Dyke and nearby neighborhoods. Courtesy of Tampa Realtor Linda Nowicke.